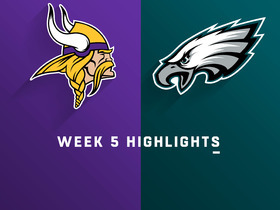 Smallwood rushed eight times for 24 yards and caught two of three targets for 42 yards and a touchdown in Sunday's 24-18 win over the Jaguars in London. Analysis: Smallwood couldn't get things going on the ground, but he salvaged his fantasy day with a 36-yard receiving score in the third quarter. Among Philadelphia's three running backs, Smallwood and Josh Adams finished neck and neck with 66 and 67 scrimmage yards, respectively, while Corey Clement gained just five yards on his five touches. It will be difficult to predict the team's workload distribution in the backfield following a Week 9 bye. Smallwood (personal) returned to practice Thursday, Dave Zangaro of NBC Sports Philadelphia reports. Smallwood missed Wednesday's practice for a personal reason, Dave Zangaro of NBC Sports Philadelphia reports. Analysis: This explains why Smallwood was absent despite no report that he suffered an injury during the Week 7 loss to the Panthers. Assuming he's back at practice Thursday or Friday, he should be fine to continue splitting work with Corey Clement heading into Sunday's game against the Jaguars in London. Smallwood isn't practicing Wednesday, Zach Berman of The Philadelphia Inquirer reports. Analysis: Smallwood could be dealing with some type of injury, though nothing was reported in the aftermath of Sunday's 21-17 loss to the Panthers. He gained 32 yards on nine carries and five yards on two catches in that contest, once again splitting the backfield work with Corey Clement. Another update on Smallwood's situation should be available later Wednesday when the Eagles release their initial injury report for Sunday's game against the Jaguars in London. Smallwood carried nine times for 32 yards and caught two passes for an additional five yards during Sunday's 21-17 loss to the Panthers. 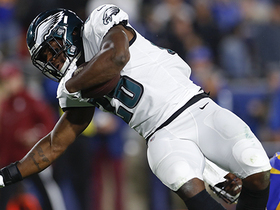 Smallwood rushed 18 times for 51 yards and brought in one of two targets for no gain in the Eagles' 34-13 win over the Giants on Thursday. He also fumbled once but recovered. Following Jay Ajayi's diagnosis of a torn ACL, Smallwood should experience an uptick in touches for the rest of the season, Zach Berman of The Philadelphia Inquirer reports. Smallwood carried five times for 39 yards and caught three of five targets for 15 more yards in Sunday's 26-23 loss to Tennessee. 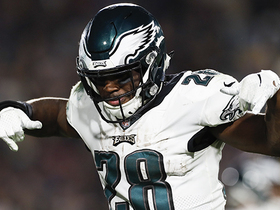 Smallwood is expected to handle a larger role with reserve running backs Corey Clement (quadriceps) and Darren Sproles (hamstring) inactive for Sunday's Week 4 matchup against the Titans, Mike Kaye of NJ.com reports. Smallwood rushed for 56 yards and a touchdown on 10 carries and added 35 yards on three catches during Sunday's 20-16 win over the Colts. Smallwood is primed for an expanded role Sunday against the Colts, Eliot Shorr-Parks of 94 WIP Sports Radio reports. Smallwood carried the ball seven times for 28 yards and added one catch for two yards in Sunday's 27-21 loss to the Buccaneers. Analysis: Smallwood split the rushing duties with Corey Clement while Jay Ajayi missed most of the first half with a back issue. Clement got the goal-line and passing-down work, however, and ended up with a much more impressive line as a result. The third-year pro would likely be ticketed for a similar role Week 3 only in the event Ajayi and Darren Sproles (hamstring) both are inactive against the Colts. Smallwood earned a spot on the initial 53-man roster in Philadelphia, Bo Wulf of The Athletic Philadelphia reports. Analysis: Smallwood got the No. 4 RB spot, beating out Josh Adams, Donnel Pumphrey and Matt Jones. The role may leave Smallwood as a healthy inactive some weeks, but he does have a shot to get some touches Week 1 if Jay Ajayi (undisclosed) isn't able to suit up against Atlanta. Smallwood started the Eagles' third preseason game Thursday and appears to be leading the battle for fourth running back, Paul Domowitch of the Philadelphia Inquirer reports. Analysis: With Jay Ajayi, Corey Clement, and Darren Sproles all on the sideline, Smallwood acquitted himself well in his quest for a roster spot. While the 24-year-old started slowly with six attempts for just 17 yards in the first quarter, he racked up big gains later with four carries of at least ten yards. Meanwhile, Matt Jones fumbled again and has probably fallen behind Smallwood and rookie Josh Adams in the contest for the final spot in the Eagles' backfield. Smallwood ran for 53 yards on 12 carries and added 14 yards on two catches during Thursday's 5-0 loss to the Browns. Analysis: There weren't many big plays, but after averaging 2.2 yards per carry during the first two weeks of the preseason -- it was a welcomed performance for the third-year back. Assuming that he and veteran Matt Jones are battling for one roster spot, Smallwood's outing and Jones' untimely fumble on Thursday could lead to the West Virginia product making the team. Smallwood is battling Matt Jones for the No. 4 running back position, Dave Spadaro of the team's official site reports. Analysis: Smallwood holds an edge over Jones in familiarity with the organization. 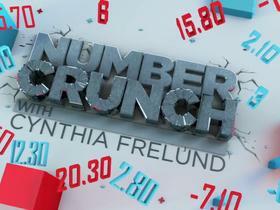 It looks like he might also hold a slight edge over the No. 4 running back spot right now, given Jones' struggles as of late. Either way, both Smallwood and Jones will battle it out during Thursday's preseason dress rehearsal matchup against Cleveland. Smallwood is expected to receive a heavy workload early, giving him plenty of opportunity to take a stranglehold of a roster spot. 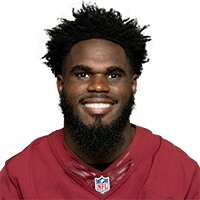 Smallwood and Matt Jones likely will be the only two Philadelphia running backs to play in Thursday's preseason game against the Browns, Dave Zangaro of NBC Sports Philadelphia reports. Analysis: With four running backs injured and Darren Sproles sitting out as a precaution, Smallwood and Jones will have a great opportunity to make their respective cases for a roster spot. They're probably competing with Josh Adams (undisclosed) and Donnel Pumphrey (leg) for a single job, as Jay Ajayi and Corey Clement are only believed to have minor lower-body injuries. Another job could open up if either Ajayi or Clement is slow to recover. Smallwood rushed for one yard on four carries and nabbed one of four targets for five yards during Thursday's loss to the Patriots. Analysis: Despite a dinged-up stable of running backs, Smallwood earned fewer touches, and did less with them, than the preseason opener. 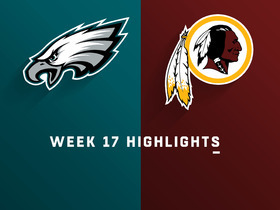 The Eagles fell behind by several scores early in the contest, so part of Smallwood's usage can be attributed to the flow of the game. At the same time, averaging just over two yards per touch while in a battle for a roster spot can't be how Smallwood hoped this preseason would start. Smallwood could see a heavy workload in Thursday's exhibition tilt versus the Patriots, Les Bowen of Philly.com reports. Smallwood is struggling early in training camp, Jimmy Kempski of PhillyVoice.com reports. Analysis: After spending much of last season as a healthy inactive, Smallwood seems to be competing for a single roster spot with Donnel Pumphrey, Matt Jones (undisclosed) and Josh Adams. Early reports from training camp suggest Pumphrey, a 2017 fourth-round pick, is making a strong case to stick on the team. Smallwood apparently isn't doing himself any favors and could have tough time sticking on the roster unless one of Jay Ajai, Corey Clement or Darren Sproles suffers a significant injury. Eagles coach Doug Pederson said he's a big fan of Smallwood, Martin Frank of The Delaware News Journal reports. Smallwood is active for Sunday's game against the Cowboys, Zach Berman of The Philadelphia Inquirer reports. Smallwood could end up getting the lion's share of carries in Sunday's game against the Cowboys with the Eagles likely to limit the usage of most of their key running backs, Paul Domowitch of The Philadelphia Inquirer reports. Smallwood (coach's decision) is inactive for Sunday's road contest against the Rams, Dave Zangaro of NBC Sports Philadelphia reports. Analysis: Now with four consecutive DNPs, Smallwood likely won't see the field again this season unless the Eagles have locked down a particular playoff spot or an injury strikes somewhere in the backfield. Expect the trio of LeGarrette Blount, Jay Ajayi and Corey Clement to receive most of the carries yet again. Smallwood (coach's decision) is listed as inactive Sunday at Seattle, Dave Zangaro of NBC Sports Philadelphia reports. Analysis: Smallwood remains the odd man out of the Eagles' backfield for a third game in a row. LeGarrette Blount will likely lead the way again, but Jay Ajayi and Corey Clement can also expect a decent amount of snaps against the Seahawks' ninth-ranked run defense. Smallwood (coach's decision) is inactive for Sunday's contest versus the Bears, Dave Zangaro of NBC Sports Philadelphia reports. Analysis: The addition of Jay Ajayi has restricted the number of spots available to running backs on the active roster. As such, Smallwood is a healthy scratch for a second consecutive game. In last Sunday's demolition of the Cowboys, LeGarrette Blount led the backfield, handling 30 of 64 offensive snaps. The remainder were split between Corey Clement (19), Ajayi (13) and Kenjon Barner (two). Smallwood (coach's decision) is inactive for Sunday's game at Dallas, Tim McManus of ESPN.com reports. Analysis: With Jay Ajayi fully implemented into the offense, the Eagles don't have a need for five running backs on the active roster Sunday. In Smallwood's stead, LeGarrette Blount, Corey Clement and Kenjon Barner will handle any reps left overs by Ajayi. Smallwood ran five times for 25 yards in Sunday's win over the Broncos. Analysis: He saw a season-low six offensive snaps but got carries on five of them. Still, despite coach Doug Pederson's claims to the contrary, Smallwood's role in the offense is trending down, and Corey Clement going off for three touchdowns won't help. With a bye coming up in Week 10 and newly-acquired Jay Ajayi sure to take on an even larger role thereafter, fantasy owners have little reason to hold on to the 23-year-old going forward. Eagles head coach Doug Pederson said Wednesday that Smallwood's role wouldn't change following the team's acquisition of fellow running back Jay Ajayi from the Dolphins on Tuesday, Eliot Shorr-Parks of NJ.com reports. 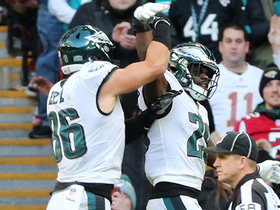 Smallwood might be the Eagles running back impacted the most negatively by the team's acquisition Tuesday of Jay Ajayi, Zach Berman of The Philadelphia Inquirer reports. 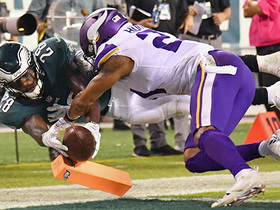 Philadelphia Eagles running back Wendell Smallwood dashes through the line for second touchdown. Philadelphia Eagles running back Wendell Smallwood breaks free for 9-yard touchdown. 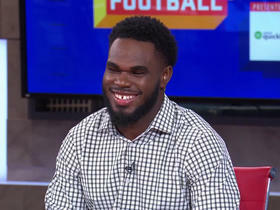 Eagles running back Wendell Smallwood talks about the team's addition of wide receiver Golden Tate. 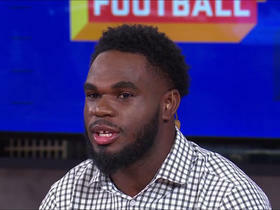 Eagles running back Wendell Smallwood talks about what motivated him to become the starting running back this season. 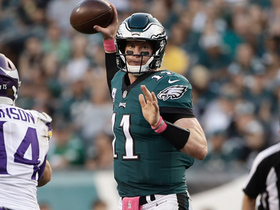 Philadelphia Eagles quarterback Carson Wentz with a 36-yard touchdown pass to running back Wendell Smallwood vs. Jacksonville Jaguars.